Your kids love playing with LEGOs and they love acting out scenes with their minifigs, but where are the babies? 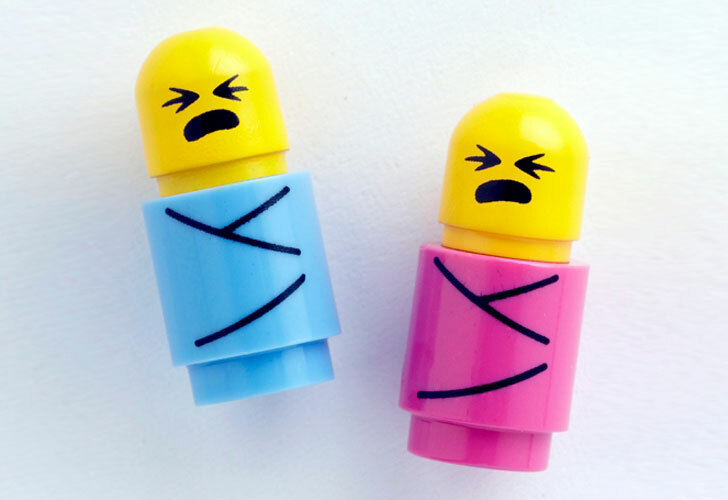 Citizen Brick delivers with cute little pink and blue Minifig Babies featuring a screaming mouth and unhappy eyes (sorry, no happy babies available!). Finally you can understand where LEGO minifigs come from. In fun, true-to-life fashion, when you order a LEGO baby, gender is chosen at random, so you won’t know if it’s a boy or a girl until your little bundle of joy arrives. Your kids love playing with LEGOs and they love acting out scenes with their minifigs, but where are the babies? Citizen Brick delivers with cute little pink and blue Minifig Babies featuring a screaming mouth and unhappy eyes (sorry, no happy babies available!). Finally you can understand where LEGO minifigs come from. In fun, true-to-life fashion, when you order a LEGO baby, gender is chosen at random, so you won't know if it's a boy or a girl until your little bundle of joy arrives.